In addition, Mr. May served as General Counsel to Governor Paul Patton’s 1999 re-election campaign and also was appointed as General Counsel to the Kentucky Democratic Party providing legal counsel and advice regarding complex campaign and election finance laws and regulations. Upon completion of his legal studies, Mr. May practiced as an associate with the Louisville law firm of Sheffer Hoffman wherein he managed the firms state-wide workers compensation practice and other significant client accounts. Prior to joining the Lottery, Mr. May was an associate with a Louisville boutique law firm that specialized in multifaceted government relations work and business transaction for several construction and design-related clients. Mr. May is a member of the Fayette County and Jefferson County Bar Associations, the Kentucky Bar Association and the American Bar Association. 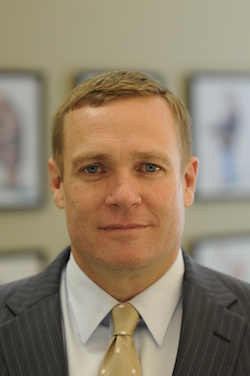 Mr. May’s primary practice is working with plaintiffs on matters relating to business contract issues and other types of general litigation disputes.